An estimated 1 in 5 children and 1 in 5 seniors in Washington suffer from hunger. Food Security means access to enough safe and nutritious food at all times to live an active, healthy life. Without help from concerned neighbors, many parents here in West Seattle would not have the resources to provide enough nutritious food to adequately feed their family. Many seniors would have to make choices between maintaining their house, paying for medicine and utilities, or paying for food. Poor nutrition can lead to serious health and cognitive consequences for children and adults. West Seattle Food Bank is committed to making sure that those in our community have access to the resources they need to lead a healthy life. A group of concerned people started the Food Bank in 1983, to make sure that neighbors in need did not go hungry. Back then we were called the Junction Community Food Bank (JCFB) and we distributed food from the old Jefferson School. Without a permanent home, the Food Bank moved many times, operating out of churches and schools. Then in 1989 we were finally able to lease a site on SW Genesee near Fauntleroy and settled in there for the next 18 years. During this time, there was another agency, called the West Seattle Food Bank, which was located in the High Point neighborhood. When they closed in 1998 due to financial troubles, we started distributing food to that area and also picked up their home delivery program. In 1999, the JCFB changed its name to the West Seattle Food Bank (WSFB). We were now serving thousands of people a year out of our small leased Genesee site, but there was no place for clients to get out of the rain and cold while waiting to get food and we couldn’t take full advantage of bulk shipments. The dream of a permanent home where we could increase the range and amount of food to distribute was always in our minds. Then we got an unexpected and large bequest from the estate of a man named Earl Vic, and our dreams of becoming a greater resource for the West Seattle community came closer to reality. We teamed up with the Delridge Neighborhoods Development Association (DNDA) and, in 2002, launched the Three Projects/One Community capital campaign. Mr. Vic’s generous gift was the seed for the campaign which would ultimately raise funds to build the West Seattle Community Resource Center, Croft Place Town-homes and the Youngstown Cultural Arts Center. The West Seattle Helpline—offering financial and resource assistance to low-income working families. OUR MISSION: West Seattle Food Bank is committed to providing food security and community connections to our neighbors in need. OUR VISION: We envision a strong and connected community in which all people have access to safe and nutritious food and the essential necessities of living. Stewardship & Sustainability – being responsible stewards of our resources. The history of the West Seattle Food Bank, Hunger Immortal: The First Thirty Years, is no ordinary story. It’s filled with intrigue and sadness, great dedication and mounds of lucky breaks. Now that thirty years have passed since the food bank was started, that story is finally being told for the first time by our own board member, Ron Marshall. All proceeds from the sale of this book will go to support the mission of the West Seattle Food Bank. 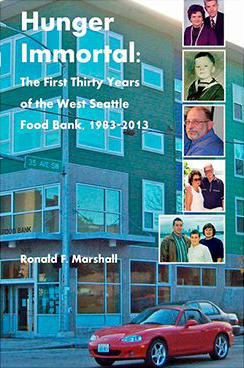 By purchasing copies of this book for yourself, family and friends, you not only will get in on a wonderful part of the history of our West Seattle community, but also support the food bank and help your neighbors in need. 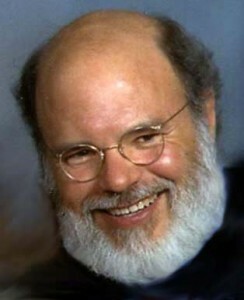 You can find the e-book of Hunger Immortal at amazon.com.